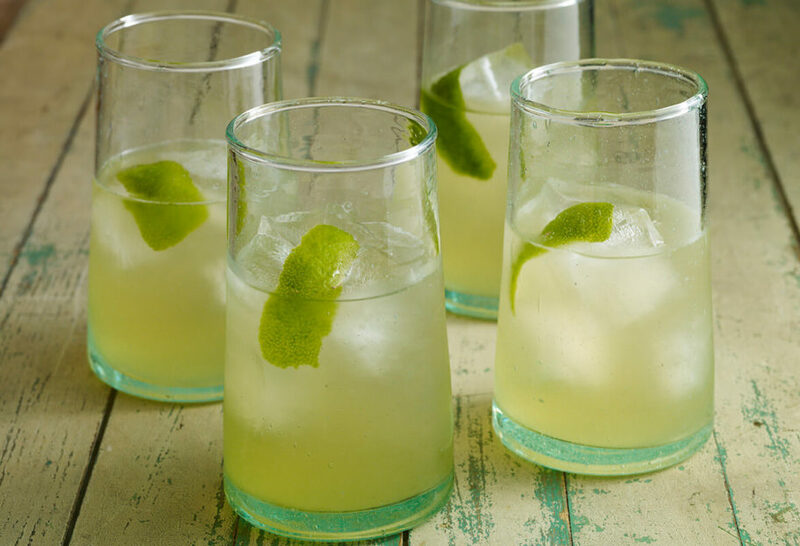 Add all ingredients (except the lime peel) to a pitcher filled with ice. Stir vigorously and pour into a glass over ice. Garnish with the lime peel. Note: Chipotle Simple Syrup is best if made 48 hours ahead of time. The smokiness of the mescal and the simple syrup make these very, very special. Just did day drinking with my lady friends and this cocktail gave us hope of spring in Chicago!! Awesome!!! I’m so glad you and your lady friends had fun, Anne! Oh I’m sorry to hear you don’t enjoy tequila, Rose. I recently found this old adage in a guidebook to Oaxaca that I know you’ll like. “Para todo mal, Mezcal; para todo bien, tambien.” Salud! Thanks for the recipe, looked so good. Enjoy the Oaxacan Sours, Danny! Pati, I am your biggest fan, especially since I got to visit Oaxaca in February. Next Saturday, I am making your Oaxacan chicken, Rick Bayless’s Yucatan Cochinita Pibil and your Mezcal sours with the mezcal I brought all the way to Montana. Luckily I was able to find a dried Chipotle chili at Lucky’s Market. But how did you make the simple syrup? I know you didn’t leave the chili in the sugar water very long, but don’t remember how long. Can’t wait for my Cinco de Mayo party on Saturday with your chicken and drinks. Here’s the recipe: https://patijinich.com/recipe/chipotle-simple-syrup/ Have a great Cinco de Mayo party, Jennifer! I believe this is one of your best episodes. So cool to visit with the entire family to tell their story. Outstanding Pati! These are to die for!!! VERY GOOD! a staple in our house on “Mexican Night”. Also, Its nice to squeeze a blood orange or two in. What a delicious addition, Tony. Thanks for sharing. this evenings meal was oaxacan sours followed by watercress and avocado salad. achiote fish using ling cod with oaxacan refried black beans, green chili rice, pickled poblanos , and pickled red onions. to finish the meal, tiger pound cake. thanks for all the great ideas. Thank you very much. Making this for our NYE celebration. Happy New Year Everyone. I saw this drink tonight! You made it and a beautiful salad with steak and vegetables for your girlfriends! I must do that for my friends soon! It all looked delicious! I hope you and your girlfriends have tons of fun eating all of it! What is the brand name of the family’s mezcal brand and is it available in the US? Oh I visited Wahaka Mezcal in Oaxaca…you can check online where to find their products. Did you use the Wahaka mezcal for the Oaxacan Sour, or did you use a different brand? Oh you can use any of your favorite brands Megan…and it will turn out delicious! How does one make chipotle simple syrup? Fantastic Friday evening cocktail! Thank you. oct.14 today you made asalad with corn and onion it look good .what is the receipe?